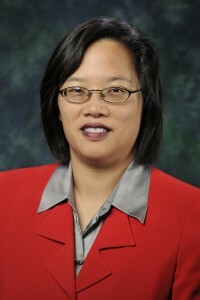 Allison M. (Yee) McLeod, LL.M., JD, CPA, is currently a Senior Lecturer at the University of North Texas in Denton, Texas. She received Bachelor of Business Administration and Juris Doctor degrees from Baylor University, and a Master of Legal Letters (LL.M.) degree specializing in Taxation from the Southern Methodist University School of Law. Professor McLeod has also studied British and Art History at the University of Sussex, England. Prior to joining the UNT faculty in 2010, Professor McLeod held the position of Director of Tax Planning and IRS Audits for Lehigh Hanson North America, a major manufacturer of cement, aggregates and other building materials. Her practice included both federal and international tax planning. Professor McLeod also spent thirteen years specializing in Tax Planning with the JCPenney Corporation, Inc., and two years with Deloitte & Touche in Dallas. Professor McLeod is licensed to practice law by the State Bar of Texas since 1992 and has been a Certified Public Accountant since 1993. This entry was posted on Monday, January 11th, 2016 at 8:31 pm	and is filed under Events, Meetings and Seminars. You can follow any responses to this entry through the RSS 2.0 feed. You can leave a response, or trackback from your own site.